Various news outlets are reporting that an LA furniture maker named Arman Mkrtchyan is suing Disney for its use of a chair he claims to have designed in the 2010 movie “Alice in Wonderland”. Mkrtchyan is seeking a $50,000 “Decoration fee” for use of the chair without his permission. There is a set of playing card chairs listed on Alibaba that references Mr. Mkrtchyan, but they are not remotely like this chair. So, has anyone heard of this gentleman? And, if a set decorator did in fact use someone’s design without permission, do we think $50,000 is an appropriate payment given the popularity of the movie? 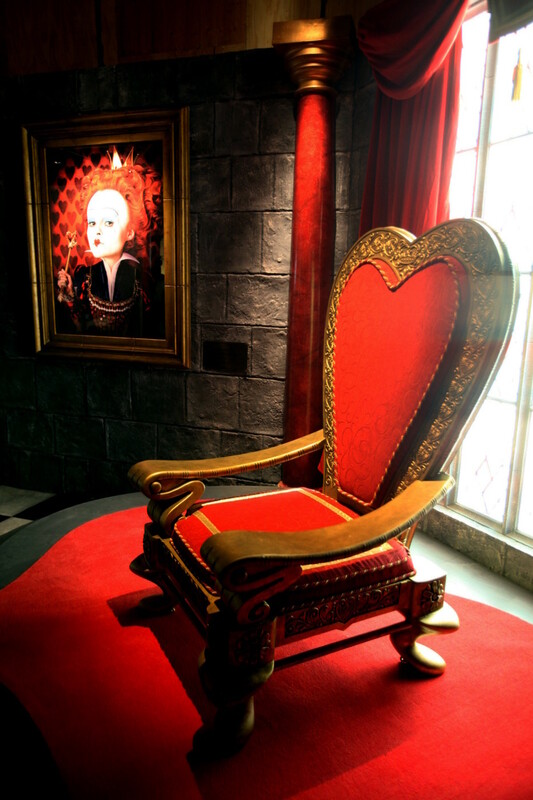 Wow Linda, well If they (Disney) were going to purchase a chair (throne ) like this for a film…it probably would not cost that much. Who really designed it? If it isn't even close to the Mkrtchyan's designs it sounds like a of $. My goodness, I never heard about this designer! But love that chair! An appropriate payment…??? No I don't think so! Haha! I think this is absolutely ridiculous, my thought is if Disney bought the chair then it is theirs to do with what the want. Does/will this give license to every item used in a movie? No wonder the courts are so backed up with frivolous law suits. As you can see this hit my hot button. If a charactor in a movie drives up in a Chevrolet does GM recieve a fee for using a car they designed in the movie without permission? The chair was bought and paid for end of story.